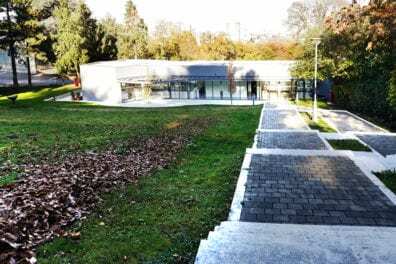 The exhibition Design for a New World conceived by Ivan Manojlović, curator at the Museum of Yugoslav History and Koraljka Vlajo, senior curator at the Museum of Arts and Crafts in Zagreb will be opened on December 29, 2015 at 6 pm. 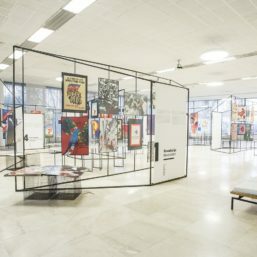 It traces the role of graphic design in creating the main features and principles of the Yugoslav state and spreading the awareness about them, focusing on the main themes incorporated into the branding of the new state through eight exhibition sections, namely, State Symbols, the Cult of Josip Broz Tito, Revolution and the National Liberation Struggle, the Cult of Workers, Serving the People, Industrialization, Modernization and Prosperity. 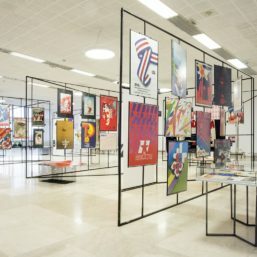 The selection of the graphic material documents not only the development of key official and unofficial state symbols, from the tricolour flag and the coat of arms to the five-pointed star and the hammer and sickle and the mandatory red colour, but also the attitude of designers and the society at the time towards the things that these symbols promoted and represented. 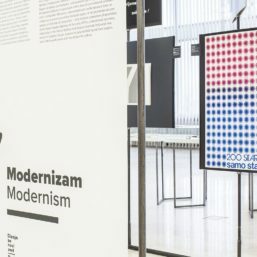 The inspiration for the title of the exhibition comes from the book Design for the Real World by Victor Papanek, a remarkably influential American theoretician of design of Austrian descent who had a strong influence on generations of young designers in Yugoslavia. 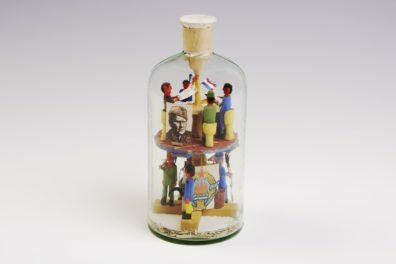 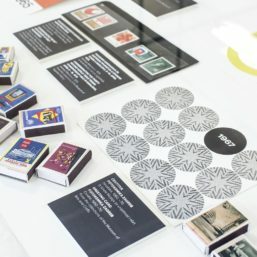 The notion of design for the real world refers to a design practice that comes up with solutions for real problems of the community, which, in turn, implies an activist attitude towards the profession. 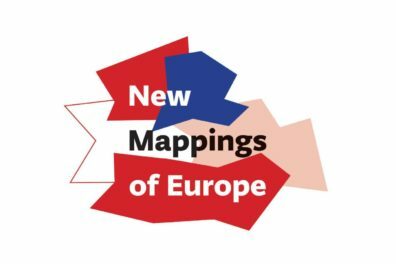 The establishment of a new state required the creation of new values, promoted via new ideological paradigms, sublimated into the symbols easily understood by everyone. 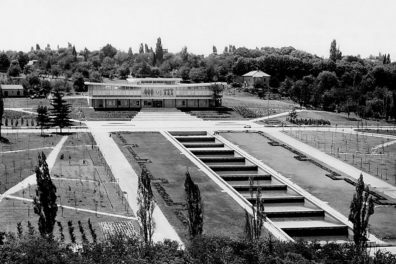 After the dark experience of World War II, designers and architects, who were revolutionaries and anti-fascists without exception participated in the building of the new society and shared a profound belief that their professional activities would contribute to changing the world for the better. 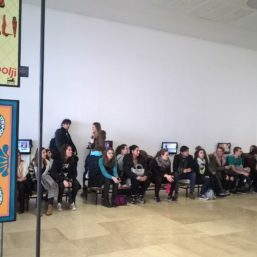 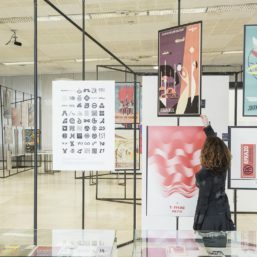 The exhibition is dominated by posters, both because of their size and visual impact and on account of their importance, stemming from their role as a universally accepted means of mass communication in the society at the time. 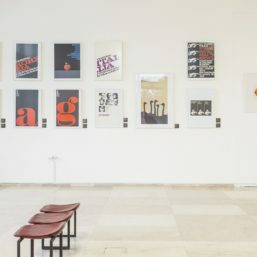 Aiming to bring the experience of the presence of graphic design in the everyday life of people in the socialist era closer to the viewers, the exhibition makes use of the omnipresent graphic forms including banknotes, postage stamps, matchboxes, business greeting cards, calendars, factory catalogues and company logos. 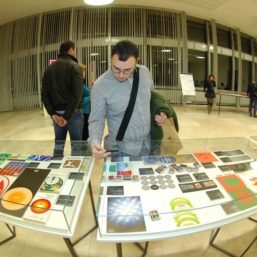 The visitors will also be offered a chance to see for the first time seven interviews with prominent participants in the Yugoslav design scene recorded in Belgrade and Zagreb. 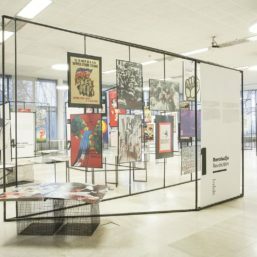 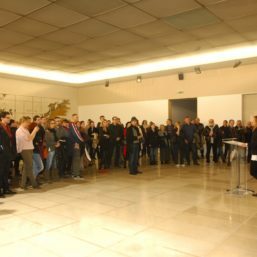 A special segment of the exhibition is dedicated to the works by students attending the College of Fine and Applied Arts in Belgrade, showing the attitude of the members of a young generation of designers towards the role of design in the society today.